Lisa Stacey, founder and CEO setup this business in 2009 combining her passions of art and technology. Lisa believes that developing aesthetically pleasing websites that perform well is the key to truly helping clients grow their business. With a strong background in IT Support, IT Training and Systems Development, including Senior IT roles in UCC and HSE, Lisa enjoys building long term relationships with clients learning about their business to facilitate building tailored online solutions to help them increase their sales. Les James brings a wealth of knowledge & skill to the e-commerce areas of WebArt's services from his twenty years’ experience in the retail and wholesale businesses. In 1995, Les took an innovative leap when he built the first website for his business sector in 1995 and selling online has remained a passion of his since then. With a vast knowledge of digital marketing including online ad campaigns and Google Analytics, Les is our in house expert on how to best increase sales and conversion levels of your product and services online. Declan is an excellent talented web developer who completed his second Honours Degree in Web Innovation in the Digital Skills Academy last year (after already completing a Game development degree). Declan also has a degree in Computer Games Development from IT Carlow. Declan’s talent is developing clients commercial websites with experience in PHP, Java Script and CSS. 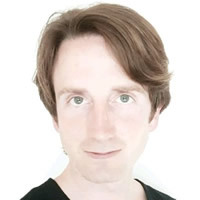 Declan feels the core of his role in WebArt is to program great designs into functional commercial websites providing that all important link between aesthetics and optimising performance. Alanna brings a number of skills to WebArt. With over 20 years experience in both technical and administrative roles in the US and Ireland, she has worked in technical support for a major Irish bank and a training company before expanding her skills into creating websites. Alanna works all aspects of web administration, from initial setup, editing, testing and support along project and office administration for the team. 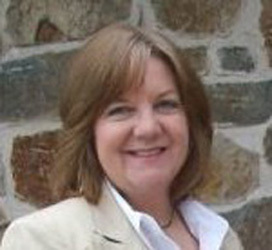 Alanna also operates as a Virtual Assistant for other clients in Ireland and the US. Andrew works as a graphic designer and brand consultant with WebArt and is a wonderful addition to the team at WebArt bringing his experience and knowledge to facilitate clients communicate their brand visually. Among Andrew's many qualifications are a Degree in Design and Visual Communications and a Masters in Arts PR and New Media. He also has a graphic design consultancy business DesignViaBrett and works as a Training facilitor with LCAB Facilitators. Kostas is a highly experienced web developer specialising in MVC frameworks with PHP and his expertise is a wonderful addition to the WebArt team. 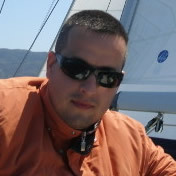 Kostas also runs his own development company KokuScripts.